I was honored when LS Anders offered me an opportunity to review her debut novel. And you know what? I loved Vehn! It’s amazing debut novel that I’ll definitely re-read. Don’t let the teasers of the book misguide you. There are very hot, sizzling scenes in the book but that’s not all of the story. Having said that, it is so refreshing to read about female characters that are in charge of their own sexuality and pleasure. LS Anders writes so spot on about female insecurities and distorted body image. What Callie goes through in her mind on daily basis is something that many women can relate to. All the characters have their role in the story. Anders has been able to write her characters and their lives ordinary enough so that the reader can relate to them. Maybe we’re not dating supermodels in our respective lives but emotions are the same almost in every relationship. And now to the food. On their date Vehn and Callie ordered take-out and it was Philly Cheese Steak what they had. So that’s what I chose to make. 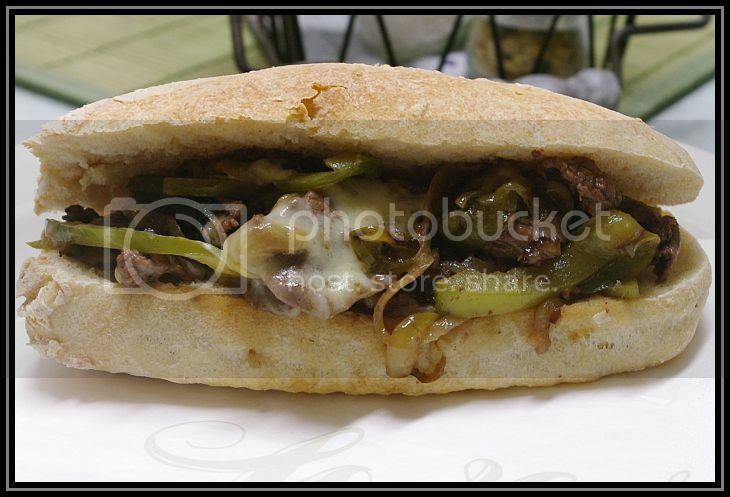 The recipe for the hoagie rolls and basic marinara sauce can be found on many sites, just choose your favorite. I was so excited to get my hands on Vehn, the debut novel of LS Anders. I really had no clue what to expect. The teasers were sizzling with lust and although there is a lot of that too in the book, there is also so much more. Vehn Mathieu is a supermodel, a male in the cover of every magazine. His looks have made his fortune, but now he has decided to retire from modeling and pursue his true dream, to become a photographer. Callie is a tattoo artist, well-known in New York circle and she works in Exotic Ink. She drools over images of Vehn, but has nearly given up hope to find someone ever again in real life. A Halloween masquerade party brings Vehn and Callie together but it certainly isn’t happily ever after. Callie fell for the model Vehn Mathieu, but there’s so much more than what meets the eye. The real Vehn is not the man she had up on a pedestal. She has a hard time trusting him and her misgivings are a serious threat to their relationship. But she can’t help it, her past has destroyed whatever there was left of her self-confidence. There is also something in Vehn’s past that is like a wrecking ball on the loose. Will Vehn and Callie find their way or was it just a few moments of heaven between the sheets, nothing to do with the real life? It is a fantastic debut and I enjoyed reading it! LS Anders doesn’t underestimate her readers. I loved how she has written a novel with many layers and interesting characters. It’s not just about the main couple, so many other characters get page time too and that doesn’t happen at the expense of the story flow. What I really liked about this novel, that it isn’t a straight forward HEA. It’s a bumpy ride towards happiness and Callie’s issues with herself are real for many women out there. LS Anders has the talent to write good, entertaining novel with imperfect characters that make mistakes and do wrong by the people they love. They grow and learn, they need to apologize and forgive because they’re only human. And that is what gives this novel a taste of real life.